Portable design, great for shows and exhibits. 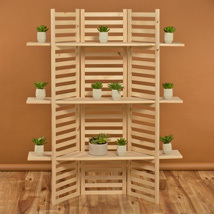 Embrace the beauty of pine wood, our Woodwork Collection features open shelf design in a natural wood finish. 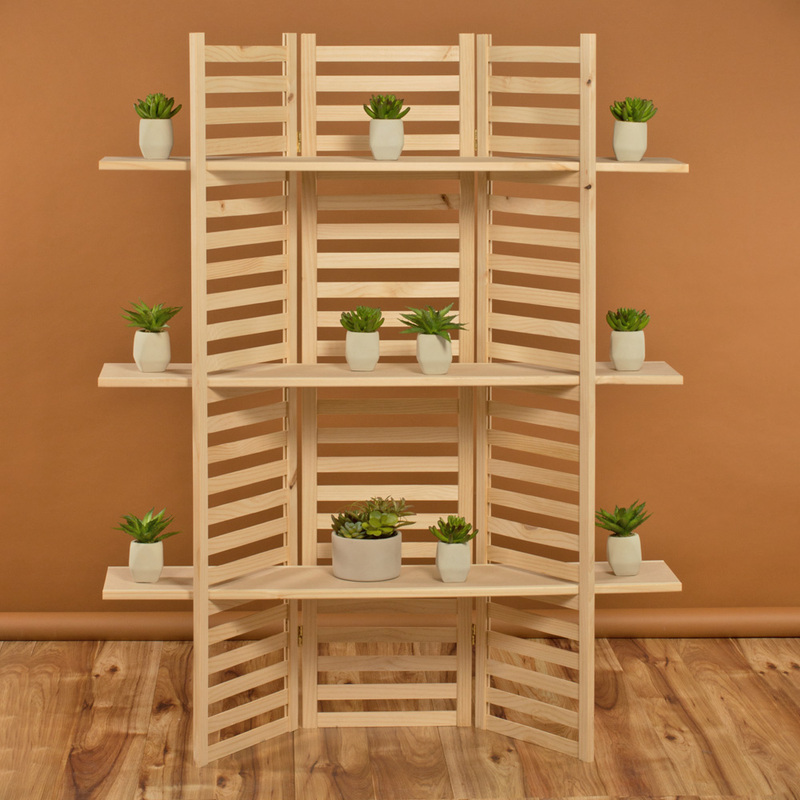 Shelf height is adjustable to fit various merchandises. Each shelf is 48 in. W x 9 3/4 in. D x 3/4 in. H.
22 lbs. lightweight design, easy to carry around.